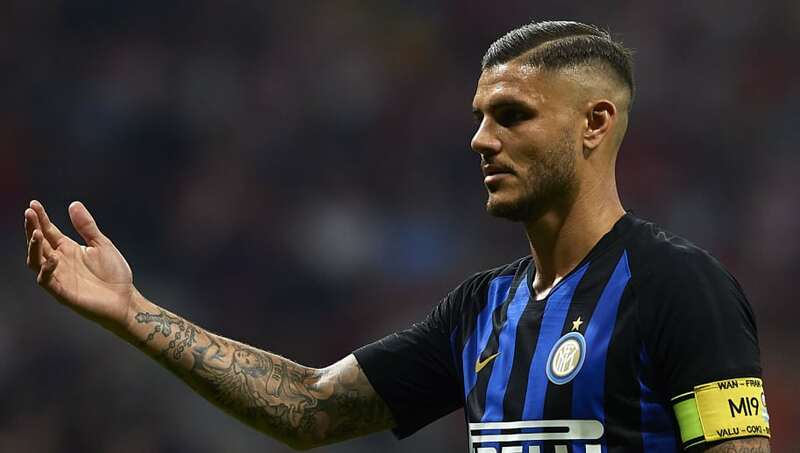 Wanda Nara, the wife and agent of Inter superstar Mauro Icardi, has admitted that there is currently no schedule for Icardi's contract renewal, although she hopes to finalise the deal this week. Widely regarded as one of the world's finest strikers, Icardi has been heavily linked with a move away from the Serie A side in recent weeks, with the likes of Chelsea and Real Madrid said to be especially keen on the Argentinian forward. Speaking at the Amici dei Bambini tournament, Nara insisted that ​Icardi's renewal will happen in the near future. She is quoted by the ​Express as saying: "No appointment has yet been set, we hope to be able to do it during the week. “Mauro still has two-and-a-half years on his contract, there's nothing to worry about. The report from the Express adds that, as it stands, Icardi will have a release clause of €100m (around £87m) active in his contract between 1-15 July next summer, meaning the likes of ​Chelsea and ​Real would be able to negotiate with Icardi if they are prepared to activate the release clause. However, if he does renew his deal with the club, that clause could either be significantly raised or simply removed from the 25-year-old's contract. Since joining Inter from Sampdoria in 2013, Icardi has found the back of the net an impressive 121 times in 206 appearances, and he has already racked up 14 goals in all competitions this season. Inter currently find themselves third in the ​Serie A, with Icardi's nine goals proving to be a major factor in their impressive league standing. They have opened up a six-point advantage over local rivals ​AC Milan, and they will certainly be keen on extending Icardi's stay at the San Siro.